Kylie Jenner has been the subject of plenty of online buzz this week for landing her first solo Teen Vogue cover, but it won't be the reality star's face subscribers see when they receive their music-themed May issue. That's because Teen Vogue—in a first for parent company Condé Nast—is getting in on the growing cover ad trend with a false cover sponsored by hair-care line Tresemmé. 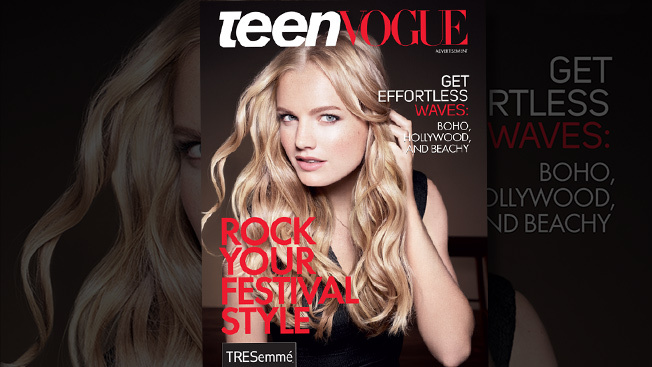 In addition to the cover, Tresemmé's sponsorship, which focuses on festival style, includes an advertorial on the inside flap with tips on how to get Jenner's cover look, a pair of online video tutorials produced by Condé Nast Entertainment, an Instagram contest, and various posts on Teen Vogue's website and social channels. Jason Wagenheim, publisher and CRO of Teen Vogue, believes that the magazine's young audience is likely to be more receptive to a sponsored cover than their older counterparts might be. "I think that the younger half of millennials, which we service, is being brought up in a new age that expects this type of integration from sponsors," he said. 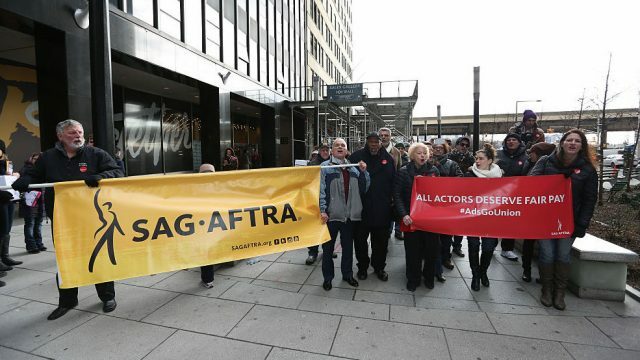 "It's not an ad in their face." "By integrating Tresemmé into already existing editorially-driven concepts, we're able to make an authentic connection between the brand and Teen Vogue's audience," said Jennifer Daly, marketing director of salon-inspired hair-care brands at Unilever. "We're proud of this unit and it's indicative of how we intend to do our business moving forward," added Wagenheim, who said there are two more sponsored covers in the works for 2015. "It was the ASME board's judgment that you could put an ad on the cover… and that an ad on a cover would not necessarily bring into question the editorial integrity of a magazine as long as it was clear that it was an ad," said ASME chief executive Sid Holt. "I'm not uncomfortable with [the trend]. We work in an advertiser-supported medium, and as far as I'm concerned, any execution that is transparent to the reader is not an issue"
While the Teen Vogue sponsored cover is Condé's first, other publishers have experimented with them during the past year or so. Subscriber copies of Cosmopolitan's May 2014 issue featured a peel-away cover sponsored by L'Oreal—at the time, editor in chief Joanna Coles presciently commented, "I suspect we've unleashed a trend." And last month, fellow Hearst glossy Marie Claire ran its own sponsored subscriber cover featuring a kaleidoscope of Stuart Weitzman shoes. Over at Time Inc., flagship title Time featured a minuscule Verizon ad on mailing labels last spring. Forbes, unsurprisingly, has pushed the envelope the furthest, placing a (not-so-clearly-labeled) native ad among its regular cover lines in February. Wagenheim told Adweek that the Tresemmé cover remains within the ASME guidelines, new and old. "The ASME guidelines are about servicing the reader first and foremost," he said, "and I believe that, with the help of a sponsor, we've created high-value impact with additional content that services our reader first."